Think of your morning routine. You wake up when the first alarm goes off, skip over to the shower and jump in for a leisurely wash...wait...that's not quite accurate, is it? For many of us, mornings send a constant chant through our heads. "Rush, rush, rush! Hurry, hurry, hurry!" Towel bars can pull double duty when they also include an attached upper shelf. Another option is to install a shelf above your existing towel racks. Choose from the following bathroom storage and organization ideas and tips to get started organizing your bathroom today! Use a 3-drawer mini organizer on a shelf or in a cabinet to store hair bows, bands, clips and other accessories. Many times, a bathroom has a huge area of wasted space above the toilet. Get a space saver - a set of shelves designed to surround the toilet tank creating usable storage. They come in various materials, colors and styles so you can find one that fits your decor. You may also consider installing a wall mounted cabinet or set of shelves on the wall space above the toilet. Keep counter tops clear by using a bathroom caddy or basket to store all your necessities in (like those a student might use in their college dorm). 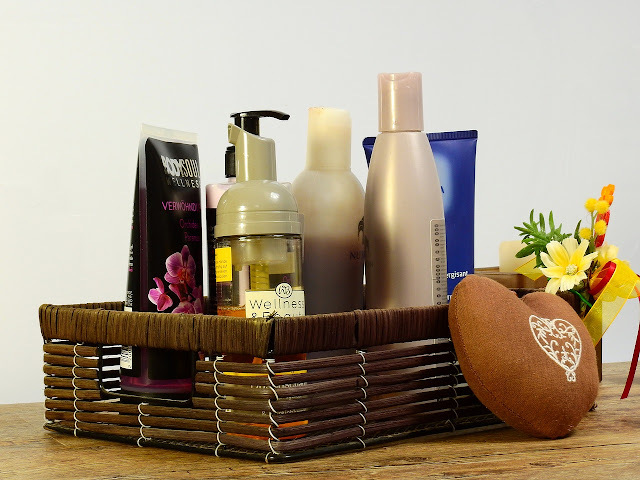 When you are getting ready in the morning, pull out your basket. When you are finished, tuck it away in a cabinet or on a shelf. You can create a basket like this for each family member. 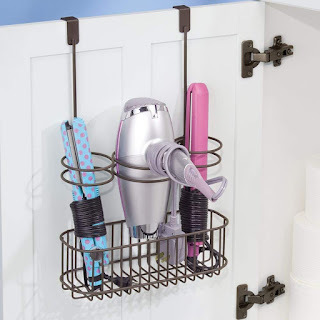 Hair dryers, curling irons and brushes can all be stowed away in a hair dryer caddy that hangs on the inside of a bathroom cabinet door. 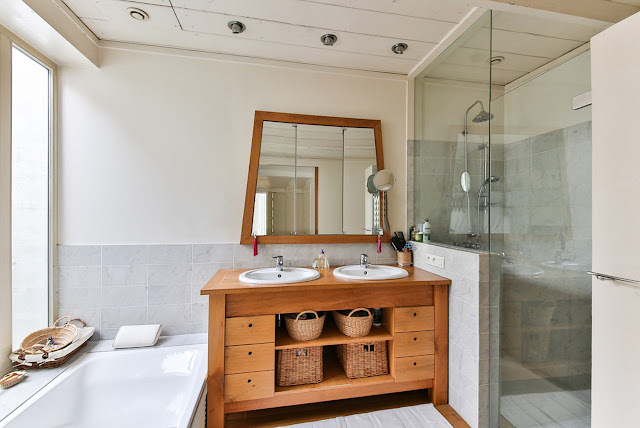 Hooks and over the door storage systems are especially helpful in the bathroom providing hanging space for damp towels and robes or storage space for extra toilet paper and toiletries. They really come in handy in cramped apartments where space is hard to come by and restrictions may not allow you to install wall units.